Rustic, handmade terracotta. The tiles have deep to light red tones, and hand finished edges to give the worn appearance of an original terracotta floor. The tiles arrive unsealed allowing you to finish and achieve the desired effect. Sizes stated are nominal and imprecise and imperfections to the surface and edge are to be expected. The tiles in this image have been finished with LTP Antique Beeswax. Requires sealing: Yes, please see our installation guide for full details. Terracotta has been used as a floor covering for centuries and has recently seen a resurgence in popularity. The deep red, ochre and russet tones give a beautiful finish and an instant warmth to a room. The tiles are handmade, giving a wonderful rustic appearance, so when laid, they look like an authentic, traditional terracotta floor that could have been down for decades. Handmade in Spain, the clay is allowed to dry in the sun, so it is not uncommon to see the occasional paw print or indentation in the surface of the tiles. The terracotta arrive unsealed, to allow you to finish the tiles to achieve your desired look. 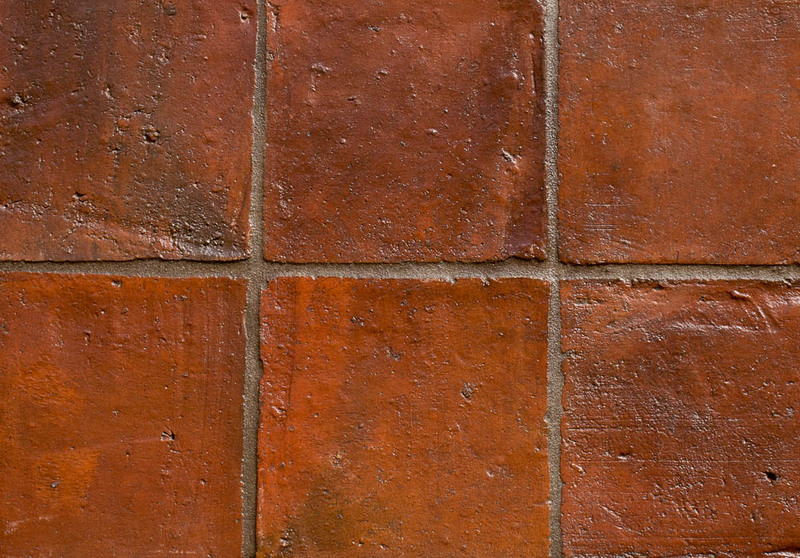 Terracotta is very porous if left untreated, so we highly recommend the tiles are sealed by a professional upon installation to give a hard wearing finish. We recommend treating the tiles with boiled linseed oil, until saturated and finishing with an LTP wax. Please see our full laying instructions here.